Yesterday, I glanced down at my phone to see the world’s most 2017 news alert from The Wall Street Journal: “Amazon’s voice-controlled personal assistant is creating chaos for people named Alexa, Alexis, and Alex,” it read. Aside from the general hilariousness of the headline—“There’s definitely some merit to naming your voice recognition technology something weird like Cortana,” mused my sister Alex when I immediately texted her a screenshot—it also underlined the fact that we’re now facing a new technological landscape. The Amazon Echo ($180)—colloquially known by its voice-command name, Alexa—was one of the top-selling gadgets of this past holiday season, with sales up nine times from last year. It’s just one of a growing number of smart speakers and command-based home devices on the market, along with top contender Google Home ($29). (Apple is hotly anticipated to launch its own smart home offering in the near future.) Many of us might still view smart speakers as a novelty, but experts expect this to change as developers continue to improve their specs. That basically sums up my sentiments about my own Amazon Echo: Since Alexa first came into my life a few weeks ago, she has seemed to get a little smarter every day, and little by little, I’ve grown a little more knowledgeable about the extent of her capabilities. 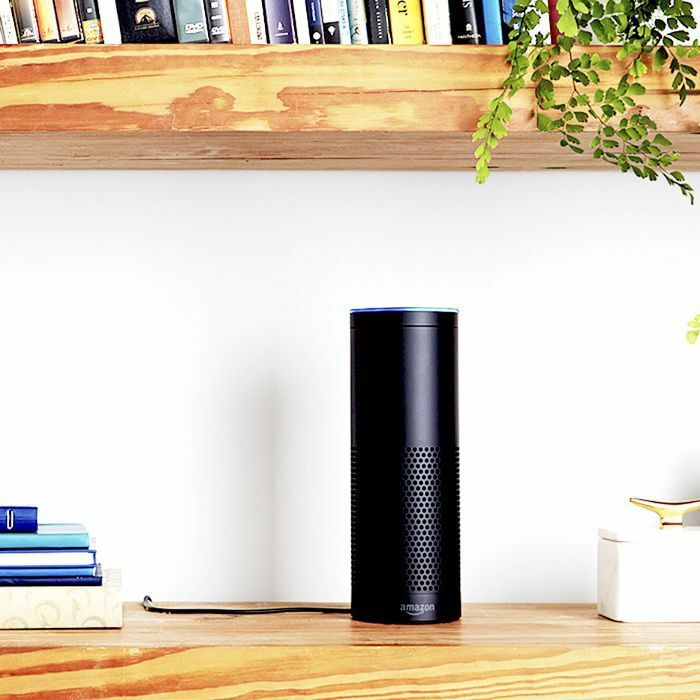 The beauty of the device is that similar to the App Store on the iPhone, Amazon Echo has an ever-growing selection of “skills” to install, meaning Alexa can only improve as time goes on. While I’ve come to love the convenience of asking “her” about the weather and for a news update first thing in the morning—not to mention a variety of other quirky easter eggs—I’ve also found the Echo to be a great companion to my New Year’s health kick. Part of said wellness effort is improving my sleep habits, and Alexa offers a number of capabilities to help kick insomnia. This starts with the Echo’s exceedingly pleasant alarm, which is light-years less jarring than the one on my phone and gently phases me out of my morning REM cycle. I also cannot emphasize how cathartic it is to yell “Alexa, STOP!” to turn it off—that’s literally the stuff of my teenage fantasies. But it’s also just one of Alexa’s more obvious sleep-related functions, and there are several others that lie beneath her shiny chrome casing. Keep reading to see more lesser-known ways the Amazon Echo is helping me sleep better. "Alexa, loop my sleep playlist." 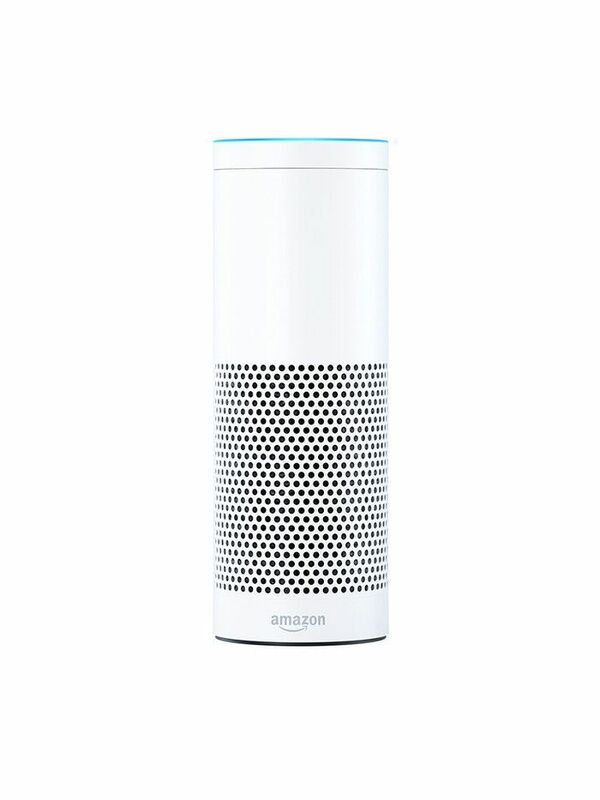 Admittedly, I was a little disappointed at first that the Echo didn’t already have a built-in sleep machine capability—it seems like a fairly simple command to ask Alexa to play white noise, no? While I can’t imagine that said skill is too far off in the future, in the meantime, there are a few workarounds. One of them is to create a sleep-specific playlist either in Amazon Music or on Spotify. I prefer personally prefer brown noise to white noise, so I made a Spotify playlist with just one track of brown noise and titled it “Sleep Sounds.” To play it, I ask Alexa to “play ‘Sleep Sounds’ on loop” so she knows to indefinitely repeat the track. "Alexa, set a sleep timer for 10 minutes." On that note, the Echo does have a handy capability to turn off any functions or noise after a given amount of time. After queuing up my sleep noise playlist, for example, I ask Alexa to set a sleep timer for 10 or 20 minutes so that it doesn’t play the noise all night. "Alexa, ask Stop, Breathe & Think for a meditation." But my far-and-away favorite is Stop, Breathe & Think, a popular mindfulness app that also syncs with the Echo. It’s essentially a guided meditation, and it’s different every day—the sessions are quick, too, usually ranging from one to five minutes. The voice is so soothing, and I usually don’t even make it to the end of the meditation before drifting off. "Alexa, tell me a bedtime story." As it turns out, in order to enable an actual, sarcasm-free bedtime story, you need to give Alexa a name to work with. (“Alexa, tell a bedtime story to Victoria.”) She then weaves a personalized story—for example, the tale of a queen named Victoria who ruled the land of Victoriaburg. It’s definitely a skill intended for kids, but it gave me a chuckle nonetheless as I settled into bed for the night. It’s definitely also worth noting that the Echo also syncs up with Audible, so you could easily fall asleep to the audiobook of your choosing. You’d just ask Alexa to read the book by name and request she set a sleep timer for a given amount of time, to ensure the book doesn’t play all night. Next, check out the fascinating sleep devices with over 1000 positive reviews on Amazon.